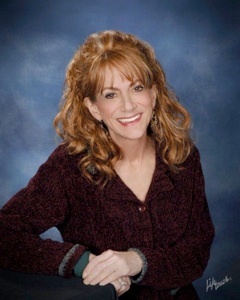 How is Therapy with Janet Hostetler different than traditional relationship therapy? Unlike traditional "tattle tale" therapy, where complaints about the other are told to the therapist, usually to get the therapist's agreement on who is right; I get both parties talking to each other using a process of communication that creates safety, allowing for both partners needs to be heard and validated. "Helps ascend to higher and deeper levels of love when romance is fading." John Welshons: Awakening from Grief. Clear communication is the window into the world of your partner. The emotional bond created by romantic love evolves into a powerful bond of connection through the process of resolving conflict. What determines chemistry between two people? Why does the romance end and you fight about the same things over and over? Why can't your partner understand you and hear what you are saying. When we fall in love we see life in Technicolor. We feel sexier, smarter, funnier. We feel whole, we feel complete, and we feel connected. Why does this end and the fighting begin and continue? What happened to the person we thought completed us? Why is it that the very qualities we once admired now drive us crazy? I am a Licensed Mental Health Counselor as well as a Licensed Psychotherapist, Internationally Certified Addiction Professional, and CERTIFIED IMAGO RELATIONSHIP THERAPIST. I specialize in Family and Relationship Therapy and have assisted at the Getting The Love You Want Workshops, seen on the Oprah Winfrey Show. Does the following describes you? •Do you have relationship, family, or work related conflicts? •Are you feeling stressed, down, or overwhelmed? •Do you want help breaking a dependency, addiction, or harmful behavior? •Are you concerned about a family member’s addiction, emotional or physical health? •Are your thoughts and beliefs keeping you from positive change?